WASHINGTON, DC — Black history is inseparable from American history, and the Black experience represents a profound and unique strand of the American story. 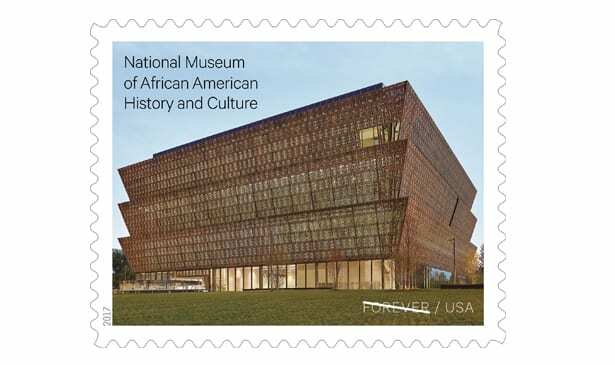 This stamp issuance recognizes the richness of that experience by celebrating the National Museum of African American History and Culture in Washington, DC. Opened on Sept. 24, 2016, the National Museum of African American History and Culture is the 19th Smithsonian museum and the only national museum devoted exclusively to African American life, art, history and culture. The museum’s collections, which include art, artifacts, photographs, films, documents, data, books, manuscripts and audio recordings, represent all regions of the United States and acknowledge the cultural links of African Americans to the black experience around the world as well. The museum provides opportunities for the public to explore and enjoy African American history while demonstrating the centrality of that history to our nation’s past, present and future.